It's time to get into the SPIRIT of Christmas! We are big fans of horses. As a little girl I've always wanted to ride and used to beg my parents for a horse. It wasn't until I got older that I finally had my chance and I loved every minute of riding. The bond you have with your horse is amazing. 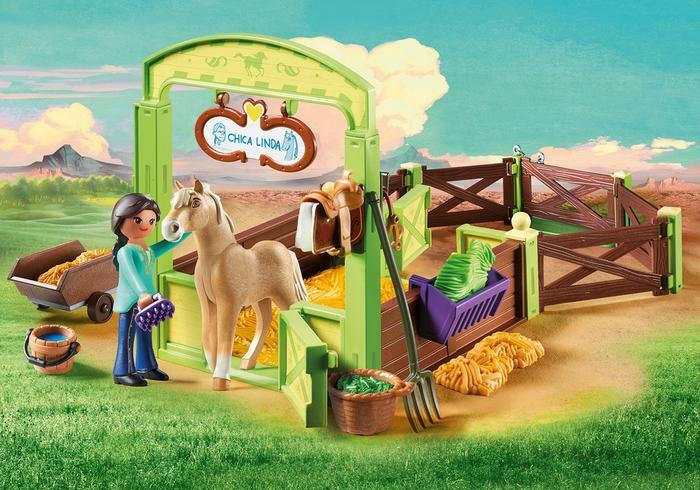 My daughter has acquired the same love so if your little ones love horses as much as my daughter does, then they’re going to love the Spirit Collection from Playmobil. They will make excellent Christmas gifts and your kids will not be disappointed! My daughter and her friend had the opportunity to review one of the hottest toys and it was such a blast. Funny, before we received our stuff we were at the store taking pictures for her Christmas list for Santa and she picked out a few Spirit ones. Meet Lucky aka Fortuna Prescott – a gutsy, adventurous rider and the very proud owner of SPIRIT, a wild, gutsy, adventurous horse, no wonder they made an instant connection. Lucky is new to the Frontier and while on the train she saw SPIRIT and fell in love with him. Today we got to chill for a bit in Lucky’s bedroom. 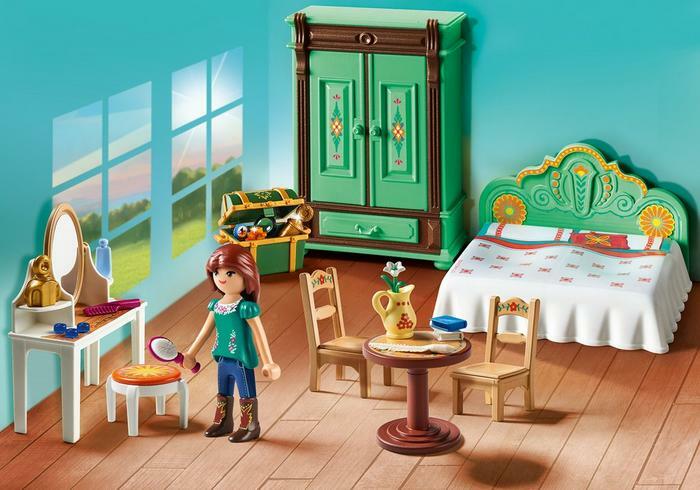 Lucky mentioned that she was getting a new bedroom set so we were excited to help her put her room together. Pru and Chica Linda - As you’re galloping around the wild frontier you’ll meet beautiful prize winning Chica Linda and her owner Pru, a very competitive rider. This dynamic duo is always ready to show off their competitive side. After hanging out with Lucky and we stopped to see these two in action. We heard Chica Linda was getting a new stall so we were more than happy to help. Lucky and Spirit - Lucky has never trained to ride and SPIRIT is a wild horse never tamed by anyone but together these two have an unbreakable bond. Oh the adventurous these two go on! SPIRIT will do anything for his girl Lucky. They always have each other’s back. Being a wild horse, SPIRIT has never had a stall of his own until now. It takes some getting used to but we think he loves it. It was fun building a new home for SPIRIT. Here's the video of the girls opening the package. The girls had such an amazing time putting together the collection. They played for hours and we've been watching SPIRIT non stop. Even I will continue to watch it when my daughter has fallen asleep. It's such a great show. Here are more pictures of the girls putting their collection together. SPIRIT: Riding Free from DreamWorks Animation is now streaming on Netflix. We've been watching it non stop, that's how awesome it is!